Must be 21 years old or come with parent/guardian. Should be able to volunteer 3 hours per month on average. Oversee the shelter in absence of paid staff. Be encouraging and a listening ear. One time or ongoing basis. Do you have any special education or training that would benefit the shelter? Do you have any physical limitations we should be aware of? Example: lifting, hearing loss, etc. What days and hours are you available to work at the shelter? How long of a commitment are you willing to make to the shelter as a volunteer? Why do you want to become a Liberty Center volunteer? Are you available for weekdays, weekends or overnights? Please list two references excluding relatives. Please check areas that you may be interested in volunteering. As a volunteer of the Liberty Center Emergency Shelter, I will adhere to and uphold all the rules and standards outlined in the procedures manual and support the decisions of the director or the person in charge during my shift. I hereby certify that I have given Liberty Center, Fremont, OH permission to seek copies of my arrest record including felonies, misdemeanors, and traffic citations from any appropriate law enforcement agency. 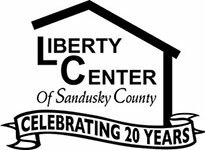 Further, by affixing my signature below, I release now and forever, Liberty Center of Sandusky County, the responding agencies, and all individuals connected therewith, from any and all liabilities stemming from the release of the above information.